Amir Khan will face Samuel Vargas at Arena Birmingham on September 8, live on Sky Sports with the hotly anticipated Jason Welborn versus Tommy Langford Chief Support. 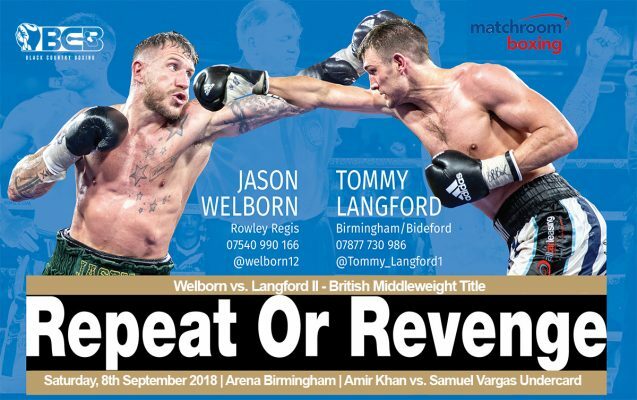 Welborn defends his British Middleweight title in a rematch with Tommy Langford, whom he snatched the title from in May via split decision in Walsall on BCB Promotions ‘Neutral Ground’ Show. Relive the first fight here!